Now, be mindful that the first time I left Baltimore was for graduate school in NYC in 2001, and I the only foreign languare I studied was Spanish from 3rd grade until second year of college. That being said despite some language and somewhat cultural barriers, the authors did a great job of making the book relatable. 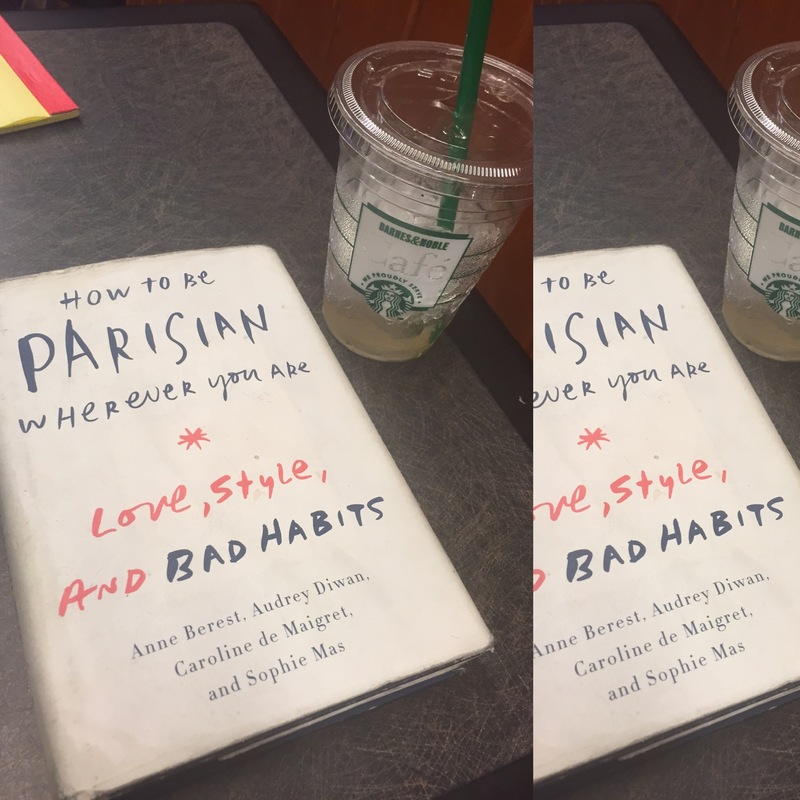 My interpretation of a Parisian woman based on this book, would be the same as what is considered an “independent” woman in America, except it appears more generally acceptable in Paris. I loved the “how to” aspect of this book. Maybe because I have limited time for myself, so I welcome recipes as well as room lighting and decorating techniques; or Maybe it’s because I am a simple girl with a secret desire to tap into new cultures, tastes and experiences. Aphorisms: “…be aware of your qualities and your faults. Cultivate them in private but don’t obsess.” –> Wait, I obsess as a hobby!!! FAVORITE line: “And what happens in the life of a woman who refuses to give up anything? Disorder-and lots of it” –>Story of my life…Wouldn’t change for the world though!!!! In conclusion, Parisennes exude this effortless confidence, probably because according to this book, certain ideals are learned early. They own who they are which makes their persona translatable in any environment. All in all, I thought this a great Naomi Notable Read!!! I highly recommend.